Slow Cooker Santa Fe Chicken cooks all day to make a great family meal that’s ready when you get home! 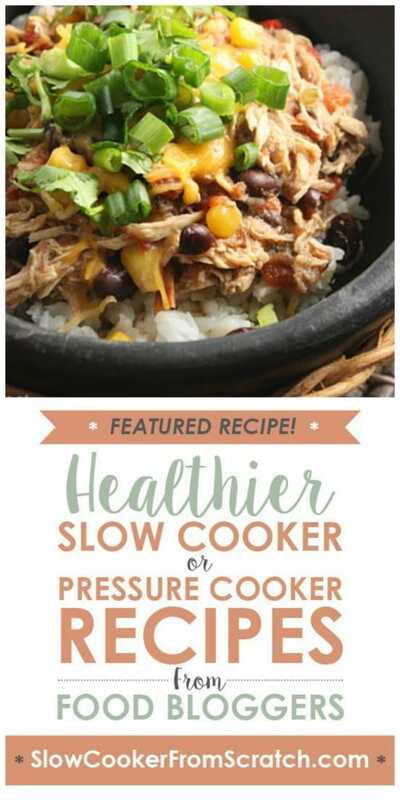 For Friday Favorites we spotlight past recipes that you may have missed, and this Slow Cooker Santa Fe Chicken from Skinnytaste sounds like a perfect meal for a busy day. And if you’re looking for slow cooker recipes that you can start in the morning and cook all day, this Crock Pot Santa Fe Chicken from Skinnytaste cooks for ten hours on low. When you get home from work, shred the chicken, cook some rice, assemble a few toppings like cheese, sour cream, and green onions, and dinner is on the table! And I bet Slow Cooker Sante Fe Chicken will be a hit with the family! 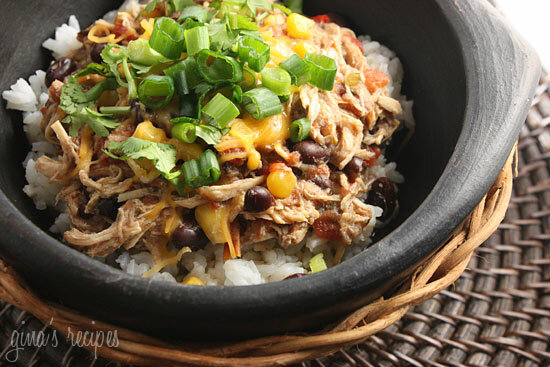 Get the full recipe for Crock Pot Santa Fe Chicken from Skinnytaste. Use the Index Page for Chicken to see all the slow cooker chicken recipes that have been featured on this site. Slow Cooker or Instant Pot; Which Do You Prefer? I tried this recipe from skinnytaste a few weeks ago. It was just ok…Not extremely flavorful and kind of bland texture-wise with the rice as a side. My husband suggested this as an enchilada filling instead of a stand alone dish. Alissa, thanks for sharing that idea.